Your community needs to hire a new fire chief. I’ve given a bit of thought to what sorts of questions should be asked of applicants to fill that vacancy. And I realized that this hire is not just a simple matter of hiring someone who is well-equipped in knowing how to quickly put out fires. No, it goes far beyond that, in terms of implications for overall safety in your community (not just the narrow subset of fire safety), and significant implications for overall quality of life. Hire the wrong fire chief, and your community can be in serious danger of setting a course for much worse overall community safety and much worse quality of life, even if your fire chief is skilled in putting out fires. The following simple questions are crucial in determining whether your new chief will promote overall safety and quality of life, or worsen it. 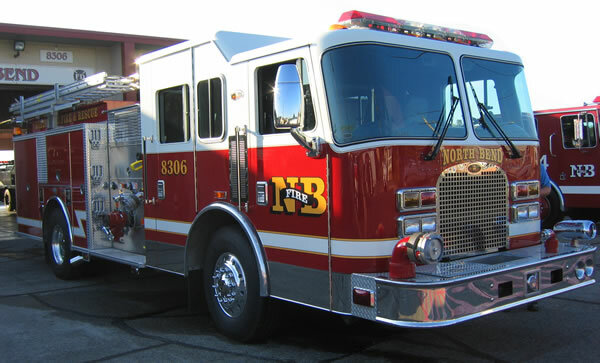 What are your thoughts about reducing the size of fire trucks? The now gargantuan and growing size of trucks used in cities all over the nation means that our fire chief, perhaps more so than the traffic engineer, is profoundly dictating — every time she or he decides to purchase a big fire truck — that our neighborhood and arterial streets will be monstrous in width in order to “safely” allow passage by the big hook and ladder trucks. The result is more dangerous, high-speed community streets filled with reckless, inattentive drivers, and lower neighborhood quality of life. Recent studies (the Swift study in Longmont CO, for example) have found that when a city overemphasizes fire safety to the point of excessively enlarging street and intersection dimensions (to reduce fire truck response times), the number of injuries and deaths caused by the increased motor vehicle speeding and inattentiveness (induced by the enlarged roadway/intersection dimensions) far exceeds the injuries and deaths averted by faster fire truck response times. The result is that life safety declines, even if the subset of fire safety may improve slightly. Overall community safety therefore declines. Despite having a few fires are put out more quickly. What are your thoughts about reducing a bloated fire department budget? (fire department budgets throughout the nation are terribly bloated, and a bloated department budget sub-optimizes the services of that department and starves important services such as health, social services, housing and street maintenance/design). What are your thoughts about minimizing the use of emergency vehicle sirens? (I’ve been told by more than one person that the emergency service sirens in the small Florida city I formerly lived in are out of control — even compared to major cities such as DC. This problem is found in an enormous number of cities throughout the nation, as the hyper-concern for perfect (and unachievable) public safety fuels a siren “arms race” of ever louder sirens, in the name of safety. This growing noise pollution problem confirmed my own “jangled nerves” experience of living in a town center of a town that did not have the leadership to stand up to the fire chief and demand that quality of life considerations, at some point, start to trump the seemingly endless (and hopeless) quest for more and more “safety.” (there IS such a thing as too much emphasis being placed on “safety”). While living in that Florida city – a city that lacked the leadership to stand up to the “babies are dying in burning buildings” hysterics of the fire department – I was being tormented by what amounted to nearly 24/7 siren wailing. In a city that justifiably strove to encourage more town residential development, why were we chasing folks out of the town center by creating a “war zone” ambience there? By running low-ridership routes, the transit system suffers, which results in worsening transit service quality system-wide. Is it somehow unethical to enrich the transit system — thereby improving service throughout the urban area — by serving more wealthy routes that generate large volumes of riders? Maybe if the bus system had the bloated budget of most city or county law enforcement agencies, they could afford to run what amounts to a social service agency that only ran routes in low-income neighborhoods with sparse ridership. But bus system budgets are suffering, not bloated. Many cities have a long, sorry history of running buses to serve poor people. A history that, as a result, sees a decline in the quality of service city-wide, which leads to a decline in ridership. Majorities of elected officials and administrators tend to champion the poor every time they mention transit. The result is a system that is pathetic in ridership and service quality for a long time (including for the poor). The lesson, as a transit director friend says, is that ridership growth depends, in part, on quality service (it also depends, as an aside, on parking management, as well as residential and commercial and job density). A system that prioritizes helping the poor (instead of creating system quality) is doomed to be forever a system with low-quality service that serves only those without travel choices (in other words, a mediocre system that serves almost no one). Let us also acknowledge that we need to have iron-clad evidence from quality studies and peer cities, prepared by qualified economists, showing a big jump in ridership before we move toward a costly transit system change. 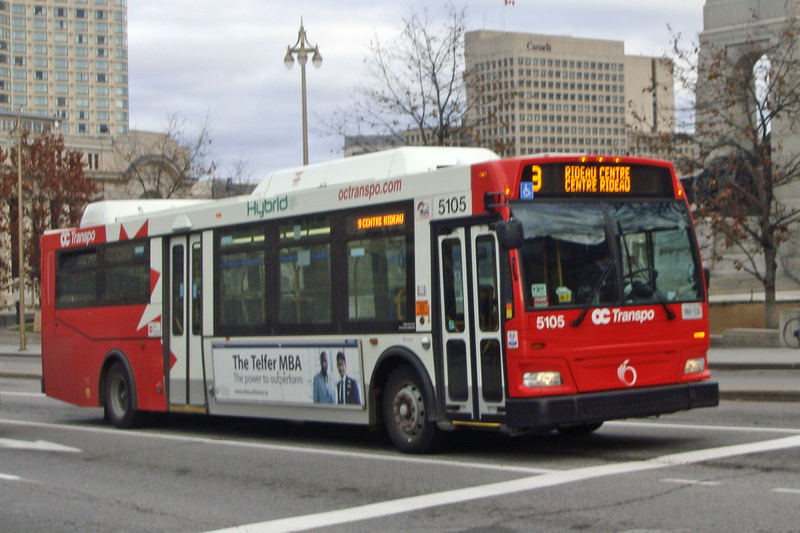 A common change considered is to reduce or eliminate bus fares to increase ridership. However, I am unconvinced that there is good evidence showing substantial ridership growth with fare reductions. Without being coupled with scarce and priced car parking, frequent service, and relatively high residential densities, low fares will be almost entirely ineffective in attracting motorists to transit — given the enormous financial as well as unquantifiable benefits of car travel. Even today’s “high” gas prices are nowhere near enough to compensate for the significant, rational reasons to drive a car everywhere for all but a tiny minority.